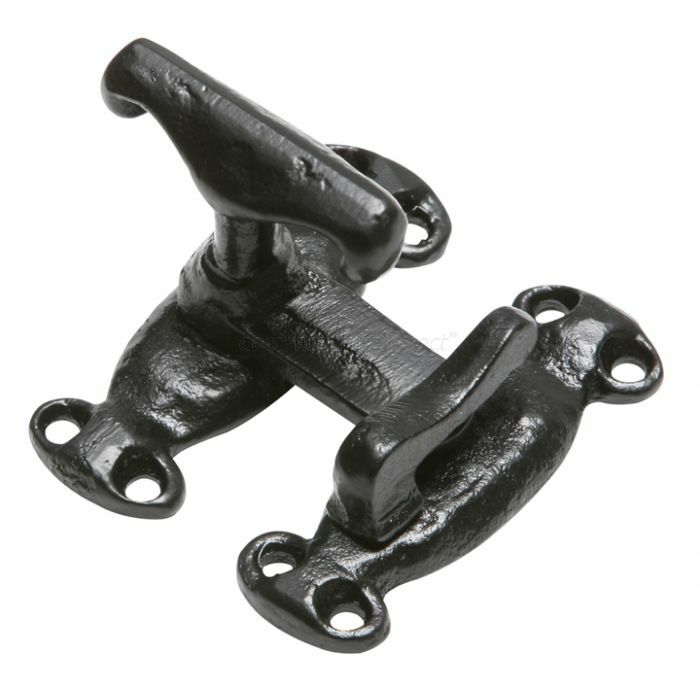 Black antique style casement fastener with a hook plate. The tee fastener fits to the window and the hook plate to the frame. The arm of the fastener is retained in the hook plate to secure the window in the closed position. Supplied complete with fixing screws.